If you scroll up, you might notice a menu button along our navigation bar that says “roof plumbing”. Why have we given roof plumbing its own section of our website? Simple: roof plumbing is right up there with strength and roof design when it comes to importance. But what exactly does a roof plumber do? “Roof plumbing gets water off your roof” – in essence, that pretty much sums up the role roof plumbing plays in your home. That’s because water is one of the most damaging things mother nature can throw at your home. Pooled-up or stagnant water is a major threat not only to your metal roof but to your entire home. Water build-up can cause damage, decay, sagging… the list goes on. One of the leading causes of roof leaks is inadequate roof plumbing. That’s because effective roof plumbing is all about getting rainwater off of your roof. Gutters, downspouts and caps waterproof your roof and stop it from getting into your home. Additionally, roof plumbing also stops water from pooling up on your roof. This matters because water is heavy – a cubic metre of the stuff weighs a literal tonne. This wears on your roof, causing it to sag as well as all kinds of damage. Water doesn’t just pool up on your roof when you don’t have an adequate roof plumbing system. It can also collect at the foundation of your house, leaving you with a mini-moat surrounding your home. While this is great if you’re going for the medieval castle look, it isn’t so fantastic if you want to avoid damaging your structure or foundation! Not to mention, effective roof plumbing also stops water from getting under siding, staining weatherboards, or eroding bricks. 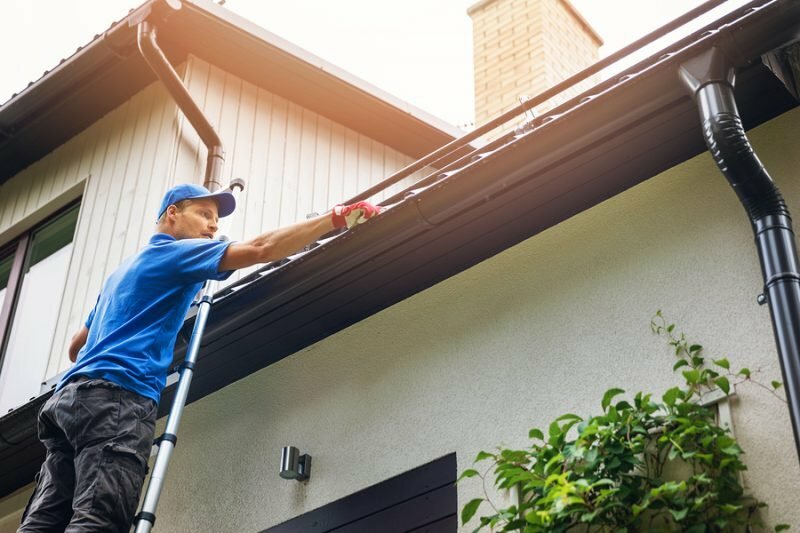 When it comes to roof plumbing, gutters are the most visible part of the team. They’re the frontman, if you will. To ensure your gutters are functioning as intended, it’s important to get them inspected periodically. This identifies problems like screws coming loose, blockages (where debris builds and gutters start to “pull away” from the roof) or holes and leaks. We also recommend cleaning them out at least once a year. A blocked gutter can lead to a whole host of different complications – click here to learn more about gutter cleaning. Of course, water that just sits there in your gutters isn’t great for your roof either. That’s where downpipes come into the picture. All the water your gutters catch can’t just go anywhere – it needs to find its way to your local stormwater drain to avoid flooding and damage. What happens is water from your gutters flows to your downpipes, which is then directed to a drain that connects to your local stormwater system. This reduces the amount of water that ends up soaking into the ground around your home. Metal roofing is installed by the sheet. So what happens at the joins where different sheets meet? Your roof installer can’t guarantee that there won’t be any gaps in the joints. While these gaps may be narrow, so long as they exist water can get in. To prevent this from happening, roof flashing and caps cover up these joins, forming a physical barrier that stops rainwater from entering the gaps between roofing sheets. Proper roof plumbing is essential to ensuring your metal roof installation goes off without a hitch. If you ask us, it should be right up there alongside strength and roof design when looking at your options. 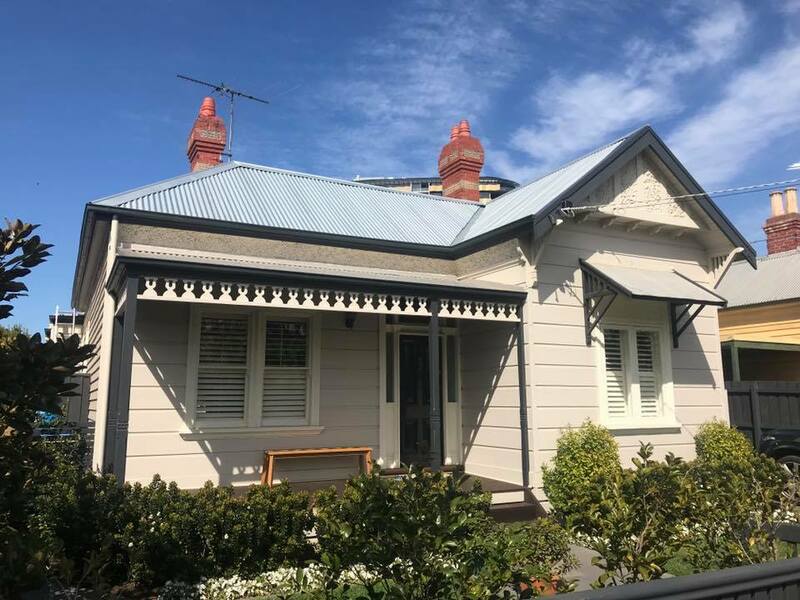 To ensure your metal roof stands the test of time, you’ll need a roof plumber in Melbourne on your side. That’s where Watermaster Roofing comes in. We’ve performed metal roofing service for close to 20 years now. From new installs to metal roofing repairs, we’ve done it all. Give our experienced team a call today on 1300 576 075 or drop us a message here and we’ll get back to you!